Rune Translation: Hörse and Kättil raised in the memory of Tägn, their father, this stone, after a good farmer in Funbo. 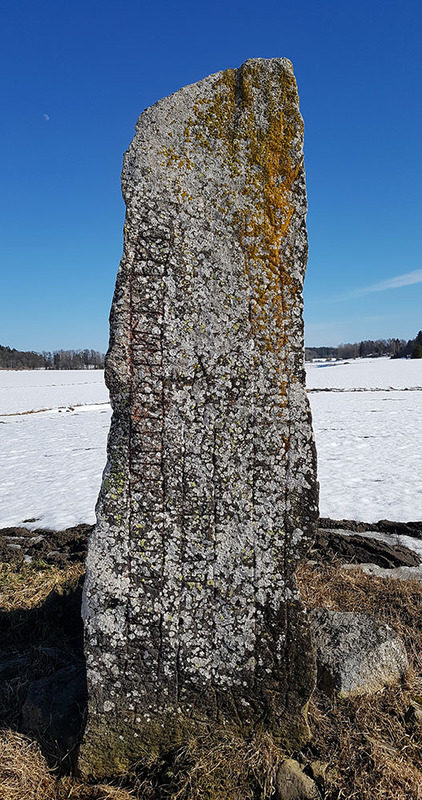 Additional information: Carved sometime in the early 1000’s AD, this rune stone likely stands in its place of origin. The inscription is the oldest known mention of the parish name ‘Funbo’. Tägn was a good farmer. Apparently, the men all mentioned in this stone can be followed in the area for 3 generations more.